The urban village: quite an oxymoron of a title on the surface. But in the Pearl River Delta, particularly in Shenzhen, this is a concept that is not quite so contradictory. Shenzhen is currently the experimental city of China, a special economic zone that has undergone extremely rapid development in the past 30 years. This pace of development inevitably resulted in the displacement of the agrarian population that formerly occupied the area, who were initially put into new housing developments all paid for by the government. When this model proved to be unsustainable, they designated portions of land for the villagers much in the same way that the United States reserves lands for the Native Americans. These plots of land, known as Villages in City (VIC), are run by the migrant workers, not under any urban planning, infrastructure construction, or other form of administrative regulation. Unlike Native American reserves, these lands are right across the street from a metropolitan cityscape. In The Metropolis and Mental Life, Simmel discusses the differences in intellectual levels between the population of the metropolis and that of the rural, the former requiring a higher intellectual level in order to survive in an environment of overwhelming amounts of information. Simmel’s discussion however treats the two as separate worlds. In Shenzhen, one world completely envelops the other, and thus there is a bleeding of sorts between the two. College students and intellectuals seeking cheaper accommodations walk their bags over the gate to live in these villages, and villagers who have struck it rich over night cross a few roads in the other direction to live in the more expensive metropolis. As I walk through the Huang Gang VIC, the children running about in the street, the vendors pushing food carts along, vaguely remind me of my grandmother’s village back in Indonesia. Then I look up at a backdrop of skyscrapers and high-rise apartments, and all of a sudden a completely different picture paints itself. The physical image, one of towers seemingly sitting right atop a temple, calls out to me to pull out my camera and snap a shot. This collision of two completely different socio-economic worlds begins to create a dynamic that could partially define Shenzhen as a city. The overlap between the urban and rural creates a very intriguing sense of friction between what one would expect to see and what one actually sees in a particular environment, e.g. a person spitting on the floor of a mall in the middle of the city center. It may not necessarily be a culture, but it is something unique to the city that is a result of an urban growth rate most are too afraid to attempt elsewhere. 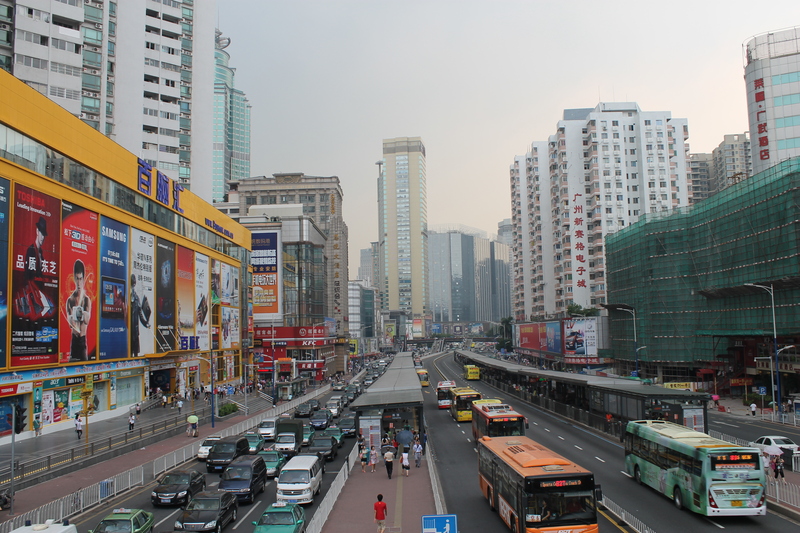 It is true that Shenzhen currently lacks a culture and a sense of connectivity between the city and its inhabitants due to the extremely short time span in which the city evolved, or rather, mutated. It is true that this desire to make the currently valuable land of China more and more profitable continues to destroy the old fabric in order to make room for new development. But, as Simmel states, money is the dominant driving factor of any city, and cultural and socio-political qualities are byproducts of the economic growth process. 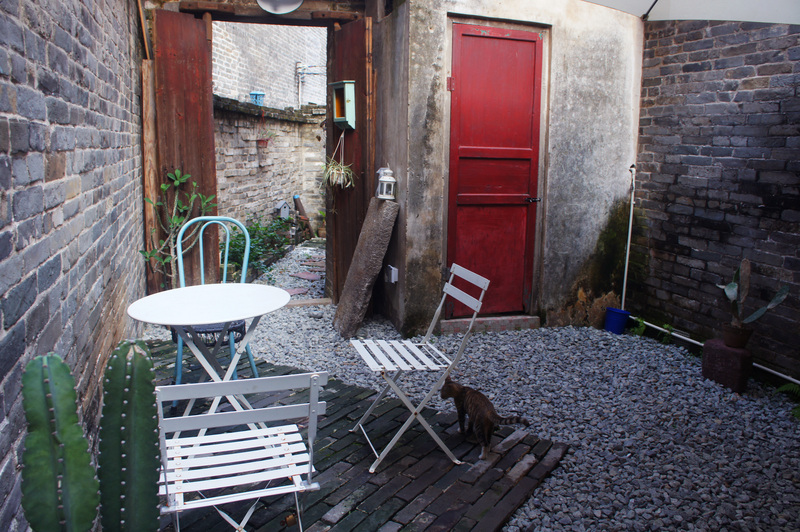 Perhaps it is in the VIC’s like Huang Gang, physical byproducts of Shenzhen’s economy, that we can find the seeds of a “Shenzhen culture.” Or perhaps the current model will continue and soon these villages will be destroyed for high-rises. Worse still, could this bubble of unprecedented growth burst before any such definitive culture is established? We can only wait with bated breath. The condition of schizophrenia is a state of delusions that can be challenging to understand. It is a terrifying battle that takes you through an existence that is “deranged, empty, and devoid of all anchors to reality”. In several cases, schizophrenics often have separate personas or ‘controllers’ whom entice them to abandon their realities and enter a place that causes severe emotion and a loss to what we perceive to be real. It would then become hard to decipher thoughts and eventually the everyday consciousness would be lost and taken over. In a similar way we as inhabitants act as schizophrenics in how we perceive reality within the realm of the metropolis where we are no longer aware but desensitized by the very factors that make up the city. In Simmel’s Metropolis and the Mental Life, he clearly defines two key components that act as the basic construct of the city: the man and the external forces. As man it is essential to understand that we adapt to environments in forms of habits, convictions, and impulses that clearly “take a regular and habitual course and show regular and habitual contrast” (Simmel 410) From this Simmel suggests that the metropolis manipulates man’s formulated nature and conditions it with the “sharp discontinuity in the grasp of a single glance and the unexpectedness of onrushing impressions”. This in turn slowly alters our psyches and distorts what we perceive to be real and uninterrupted in order to fuel a successful city growth. “With each crossing of the street, with the temporary and multiplicity of the economic, occupational, and social life, the city sets up the sensory foundations of a psychic life.” (Simmel 410) The forces in our daily routines are so constant and matter-of-fact that we have lost our sense of judgment in distinguishing what is real and untouched. Thereby numbing our actuality to make the metropolis’ reality our own reality and the metropolis’ struggle our own struggle. These external forces in the city play the parallel role to controllers in the schizophrenic world. The external forces or ‘urban controllers’ if you will, condition and entice man to constantly struggle in defining and achieving his individual role. And like the schizophrenics and their alternative personas, the urban controller and the man eventually become one. About two weeks ago as I flew into Hong Kong, I felt that I understood the city very well. I knew every bar, every subway line, and every good restaurant because beginning a few years ago I worked in the city for a few summers. Every morning I would go from my apartment to the office and every night I would leave the office for my apartment. Moving from place to place within Hong Kong became a daily routine and eventually I molded my habits and routines to the point to where I could travel swiftly across the streets, up the escalators, and through the foot bridges. Then as weeks pass I eventually discovered places to eat, things to eat, places to meet people, and places to shop. It is not until now do I realize that as I came to Hong Kong all those years ago that my mind was actively adapting to its environment by absorbing the streets, the advertisements, the people, the culture, etc. My daily choices and impulses came from the many external forces that is Hong Kong. I, in this case, was the schizophrenic and the urban controller was very much apparent. For instance if I picked up a particular brand of water bottle it would be because of the simple glance of a poster somewhere on my way to work through an air conditioned mall that I wanted to pass go through because the weather was so hot. Just by this simple, quick, yet unconscious decision I actively participated in the economic life of Hong Kong by fueling that particular business which fuels that particular habitant’s life. My needs, just as it is in the United States are the same as it is here in Asia. And the city, knowing well my internal nature has implemented forces into the city to subconsciously convince me to participate in city life. All these forces take over and eventually the urban controller and I became one. In a recent public online diary entry, Janet Jordan, a 27 year old schizophrenic, has had severe hallucinations through the last 25 years of her life. She states in her entry that the controller in her head has taken over for so long that she does not remember the point when the controller wasn’t there. Fortunately her hallucinations would fall in and out thereby giving her a reality to anchor to. It was not until she acknowledged this reality could she feel she had a problem and begin to take hold of it. In the same way if we begin to take hold of these two components and understand the relationship between the man and urban controller, as Simmel calls us to, we can begin to experiment and begin an entirely new phenomenon much like the experimental city of Shenzhen. However in my observation I consider Shenzhen to be a fake reality because of its reaction to the extreme rate of urban control. At the ‘untouched reality’ Shenzhen is still a lower class village while the ‘controlled reality’ sees Shenzhen as a rapidly growing city, dense of glass skyscrapers, and with the highest GDP in China. In this case Shenzhen plays both the man and the controller because Shenzhen is trying to condition itself to catch up to their wild and experimental standards. I believe that the natural slow altering of the man’s psyche has not quite caught up with the pace that the urban controller is trying to condition the city to be. The city is expanding at such a rapid speed that there is a very big gap between habits and actuality and thus course the urban controller and the man are not one. 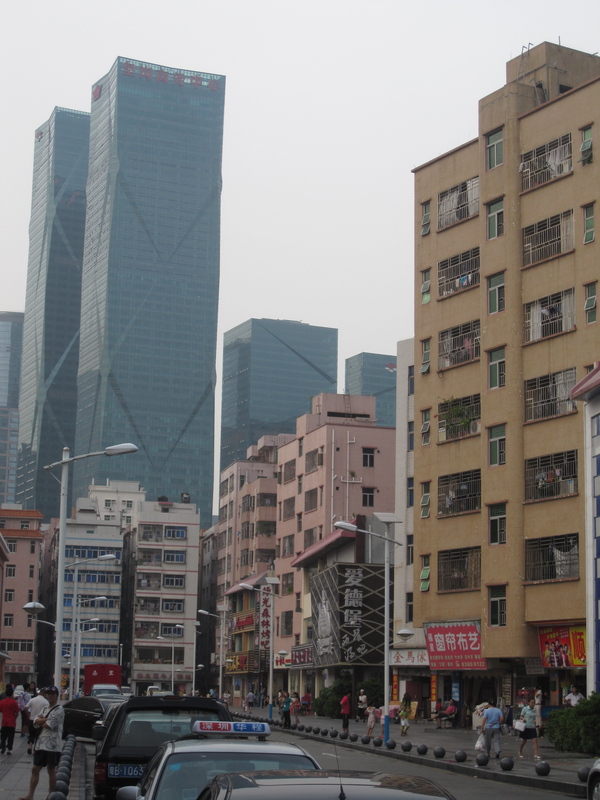 In the comparison between Hong Kong and Shenzhen in the case of urban schizophrenia, the relationships are so different and interesting that it calls into question which one will work better. Will the urban controller that has a steady pace or a rapid pace work out better? Will the rabbit or the turtle win? We can only allow the disease to play out in order to fully study and understand the condition of the mental vs. the metropolis. “What is Shenzhen?” This was the question asked of us this morning before heading out for the day. While many of us recognized various urban conditions and critiqued the city from an economic and political stance, we struggled to address a critical aspect that helps define any and all cities; its cultural identity. After nearly a week in Shenzhen, it is fair to say that we have not experienced a fair amount of the city’s “culture”, which left us asking questions of our own. In particular, what issues are influencing this apparent lack of cultural identity, and how has the development of Shenzhen fostered this condition? The rate of development is one major factor to consider. It takes as little as a couple years for new developments to move from the design phase to completion in Shenzhen, a rate nearly ten times faster than that of the United States in some cases. Because of this rapid pace, existing developments are quickly becoming obsolete. As we have seen, the political and economic powers at play waste no time in demolishing these older developments, some less than a decade mature, to make way for new financial high-rises, government institutions and residential towers. 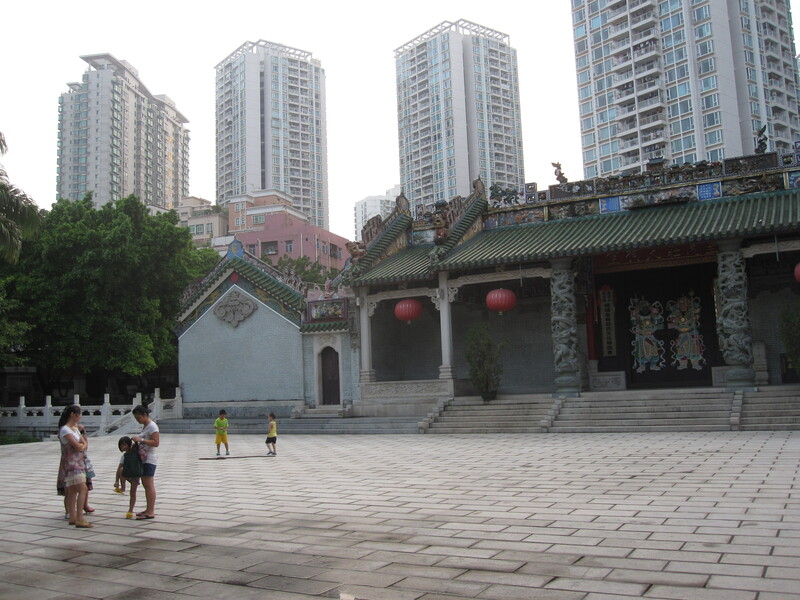 Unfortunately, many of these developments that are being destroyed are rooted in the initial culture of the city, which is now only found in the small-pocket “urban villages” of Shenzhen. 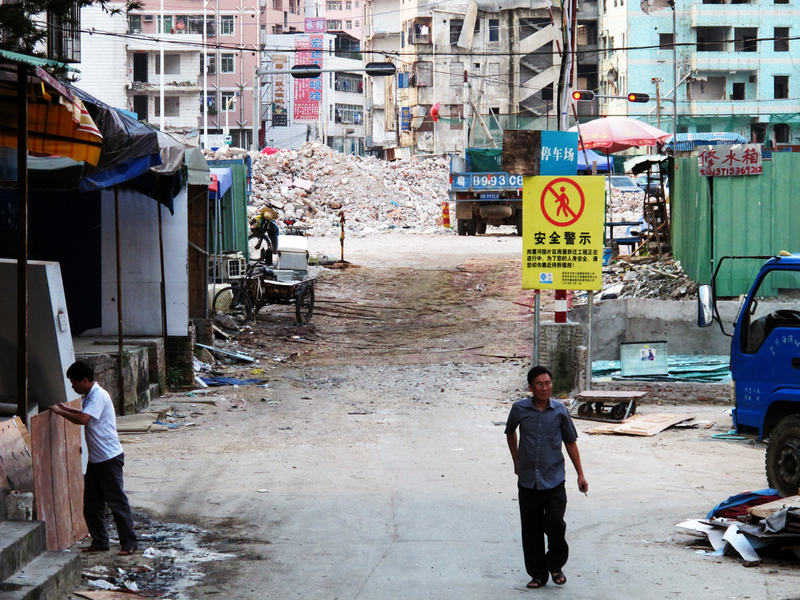 These were born from farmers who converted their land into housing developments to profit from the influx of migrant workers once Shenzhen began to grow. 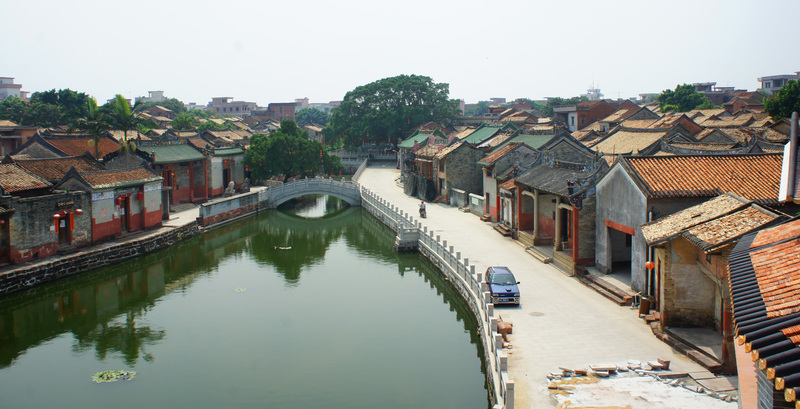 Unsurprisingly, the fabric of these urban villages is much more culturally vibrant than the Americanized city grid in which our design project and hotel is centered. Consequently, it is becoming increasingly harder for Shenzhen to retain this original culture, and furthermore hold on to an identity, if it is continually being replaced by new development. 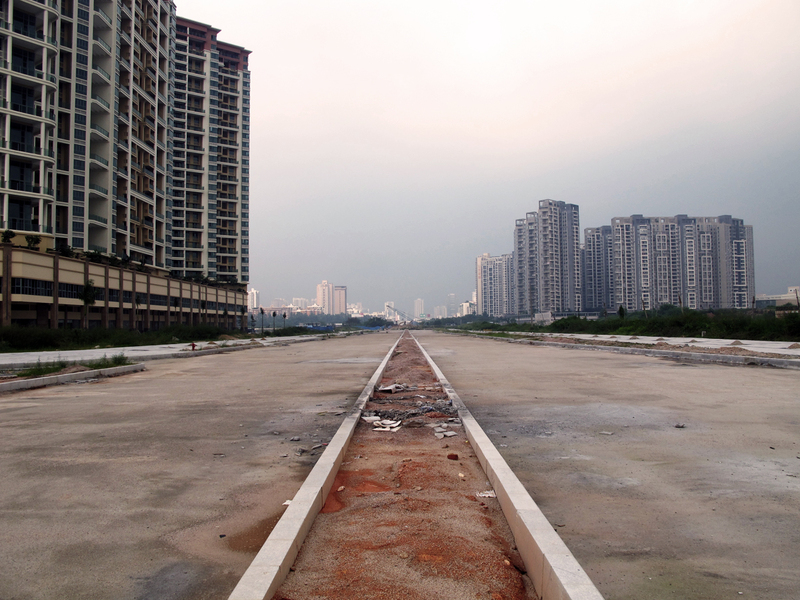 It is also important to consider the physical growth of the city and its affect on Shenzhen’s identity crisis. In particular, we can examine the prevalence of land reclamation. Each year, several miles of infill is added to Shenzhen’s coast, and developed at the rapid pace mentioned above. However, if we consider the standard supply-and-demand model for rationalizing the need for new development, Shenzhen exemplifies the opposite. Here, there is an excess of supply before there is demand. Developments are green-lighted with the economic assumption that they will be occupied. Because of this, the so-called “threshold of development” is ever pushing outwards onto newer and newer reclaimed land. In its wake are left the fledgling developments that are only a year or two behind, most of which haven’t had the time to establish a cultural foundation, or strengthen a citywide identity. Time then becomes a critical dimension from which to analyze this condition. As Walter Benjamin states in his essay The Work of Art in the Age of Mechanical Reproduction, “The authenticity of a thing is the essence of all that is transmissible from its beginning, ranging from its substantive duration to the history which it has experienced. Since the historical testimony rests on the authenticity, the former, too, is jeopardized by reproduction when substantive duration ceases to matter.” Without time to establish the history of such a development in the face of reproducing new multiples, cultural authenticity cannot take hold, and therefore the fabric cannot retain a cultural identity. Ultimately, our original question of, “What is Shenzhen?” still remains unanswered. Perhaps the cultural identity of this city is not as accessible as we have witnessed elsewhere. Tokyo, Seoul and Hong Kong’s cultures were more easily identifiable, and physically prevalent within the fabric that we explored. Maybe our observations of a city devoid of cultural identity are correct, and merely strengthen the argument that Shenzhen is too young to possess one, or too development driven to allow for one. Or maybe we just aren’t looking hard enough. Hopefully, we can shed more light on this answer with more investigation in the coming days. Benjamin, Walter. The Work of Art in the Age of Mechanical Reproduction. New York, NY: Classic America, 2009. Print.